A breathtaking setting that makes a brilliant statement. 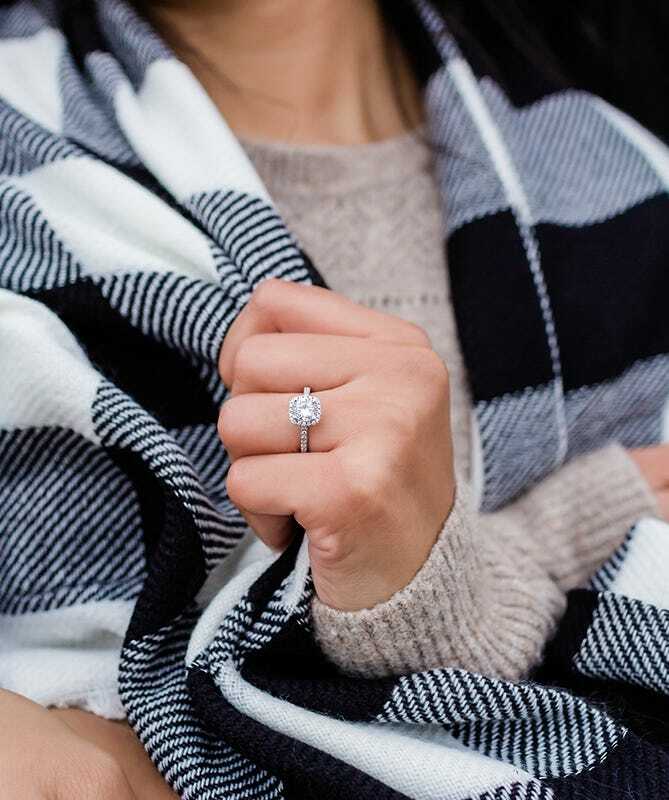 As one of the most on-trend looks of today, a halo engagement ring is a particularly impressive way to ask your special someone for her hand. This ring setting features a circle of small diamonds that surround a larger, center diamond. The effect can be simply breathtaking. Smaller sparklers enhance the majestic size of the center stone, adding some extra glamour—perfect for a lady who appreciates making a statement. Featuring everything from vintage to modern bands, our range of halo ring settings is sure to hold the perfect choice for your stand-out bride-to-be. Our extensive selection of halo engagement rings is sure to have something for your special someone. From vintage and intricate to sleek and modern, we’ve got it all. You’ll find our halo bands within our Halo collection. Pavé or Non-Pavé? 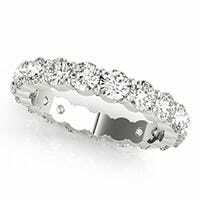 — One of the main decisions you’ll have to make is whether you want the small diamonds on her halo ring to encircle just the center diamond or to encircle the band as well—the pavé style. If you think your lady will want a minimalist look for her diamond engagement ring, forget the pavé. If she’s interested in more glimmer, pavé is the way to go. Center Stage — Because of the way the smaller diamonds encircle the larger diamond, halo diamond engagement rings make the center stone look huge. And, because you’re adding a lot of smaller diamonds, you’re increasing the ring’s carat weight without significantly raising the overall price; smaller diamonds are far less expensive than a single diamond of the same weight. 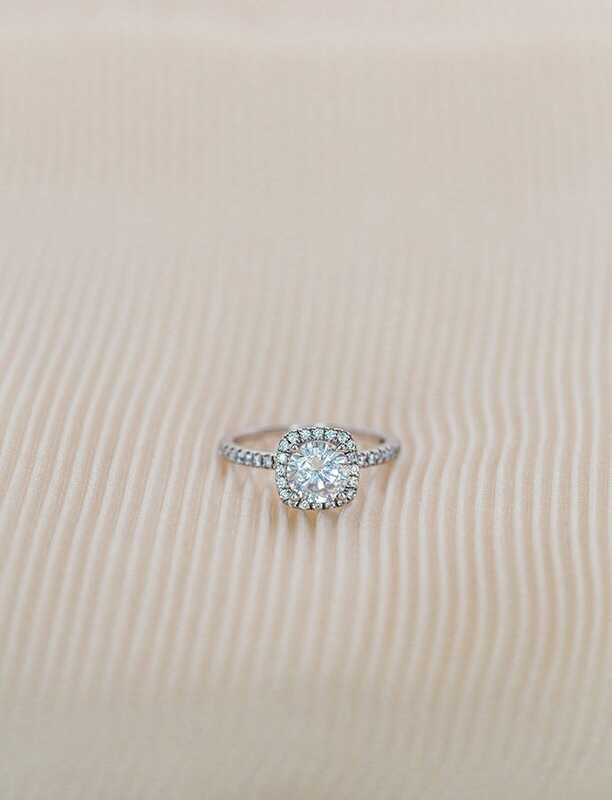 Shine On, Pretty Diamond — If you have a less-than-sparkling diamond, or if you have a flawless diamond that you want to highlight, a halo ring setting will up the glitter factor. Regardless of stone quality, adding tiny, light-catching diamonds will definitely make your love shine even more. To Trend Or Not To Trend — Halos are one of the most popular diamond ring settings in existence right now. While they are a trend, this trend is becoming a movement that won’t stop being gorgeous in a decade. Your loved one will always have a fond memory of the era in which the love of her life proposed. Though a similar-looking type of ring was seen in the Georgian period (1700s - early 1800s), halo engagement rings became popular in the Victorian era (early 1800s - 1901). During that period, artisans crafted these rings to look like flowers, using colorful gems as the center stones. In the Art Deco period of the 1920s, these sparklers really took off and began to look like the halo diamond engagement rings we see today. Due to the era’s fascination with symmetry, the clean geometric shapes of the halo diamond engagement ring fit right in. Since then, the setting has fallen in and out of fashion, coming back in the Hollywood Glamour era, then the 1960s. Today, halo diamond engagement rings are all the rage again—and the perfect way to celebrate your love in style. Olivia Wilde — Comedian Jason Sudeikis proposed to Olivia with a unique ring that featured a striking halo of emeralds. The vibrant green of the emeralds complement the stunning center diamond, which is a classic round shape. 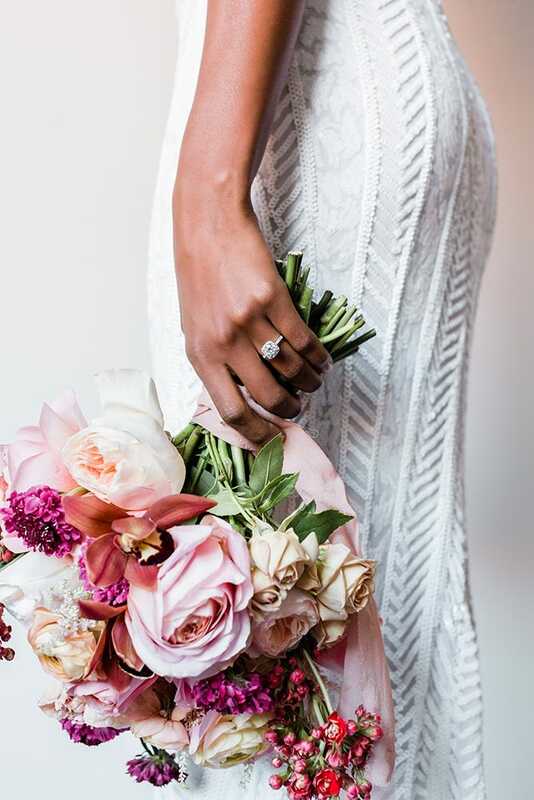 Jennifer Hudson — When Jennifer and David Otunga got engaged in 2008, he gifted her a gorgeous double halo engagement ring with a split pavé band. 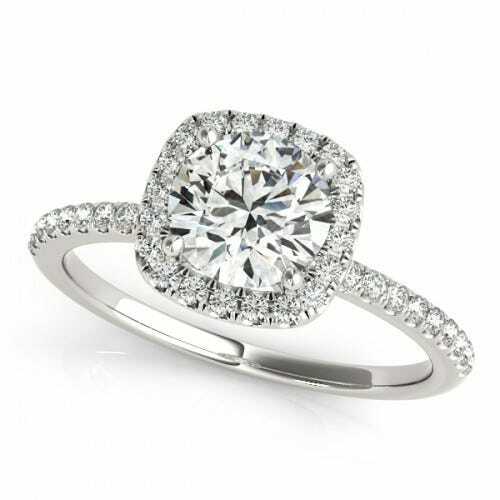 The round-cut, 5-carat diamond especially shines with the extra ring of tiny sparklers surrounding it. Kelly Rowland — Hubby Tim Witherspoon proposed with a cushion-cut halo engagement ring in December 2013. The trendy ring features a 6-carat diamond set in a platinum and micropavé halo. Amy Adams — Worth approximately $20,000, Darren Le Gallo’s gift to Amy is one for the books. The 1-carat, round diamond rests in a French-set halo on a platinum band. A completely colorless center is highlighted by the mass of surrounding diamonds. Nicole Richie — Joel Madden’s stylish spouse wears a vintage octagonal diamond engagement ring. The unique gift features a round, center diamond set in a large halo with eight sides, harkening back to the geometric style of the Art Deco era.